A thriving democracy has parties and institutions that understand the needs of their people, and pass effective legislation to supports those needs. Working as an MP, party officer or campaigner in a multiparty democracy is like every other profession – it requires specific skills and expertise. NIMD works in countries where democracy is young and therefore still fragile. Oftentimes, political actors lack the experience to carry out their role within the context of a democratic society. What’s more, parties can be based on leaders’ personalities rather than genuine political programmes or policies. 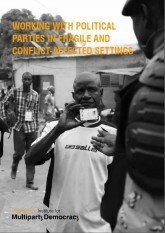 It is for this reason that NIMD helps political parties and actors to build their capacities in several ways. 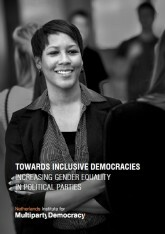 Having supported more than 200 political parties around the world, NIMD has a diverse toolkit to help us in this work. For example, we provide specific support for policy analysis and offer training to help parties develop clear and realistic policy positions. We also bring parties closer to voters by helping them draft manifestos, democratize their candidate selection process, and improve the representation of women and marginalized groups. To learn more about our work in this area, take a look at the related videos and publications below or contact us.